KOMPAK (Governance for Growth) is a large and complex program that is uniquely placed to add value to the Government of Indonesia’s own efforts to improve the social and economic conditions of its citizens; it is aimed at economic expansion and poverty reduction in Indonesia. 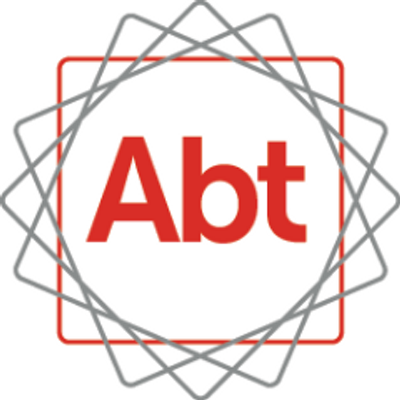 Abt Associates is supporting frontline services—including health and education—while identifying governance constraints. The work accompanies the implementation of Village Law, new national rules that empower local communities and increase the direct flow of money to village governments and services. KOMPAK seeks to strengthen the capacity of all levels of government to improve services, respond to citizen needs and contribute to stable prosperity. With an estimated start in September 2016, this role reports directly to Director Strategy, Performance and Innovation, and is responsible for the overall development and implementation of the KOMPAK communication strategy, including managing the communication section. This position will work cooperatively with other senior management members, and other KOMPAK sections to promote the purpose and successes of KOMPAK to stakeholders using a variety of media. Lead the development and implementation of an overarching KOMPAK communication strategy and which guides KOMPAK’s overall organizational identity and communication to internal and external stakeholders. Manage the communication section to implement the above strategy, which may include coordinators and managers. Lead the development and/or update of corporate guidelines and protocols for internal and external communication purposes and ensure their application as per agreed quality assurance processes. In collaboration with other teams in KOMPAK, lead knowledge management efforts for both internal and external purposes, including, but not limited to, identification and reporting of “success stories” to key stakeholders, providing information about KOMPAK activities and outcomes, formulation of research reports and/or policy briefs to be disseminated to larger public, including media, CSOs, and academia. For more details, please refer to the link below. Applications should be made online via our dedicated careers website and include a current CV. Shortlisted applicants will be contacted and provided with detailed position descriptions and interview details. Shortlisted applicants may also be asked to undertake a work-simulation exercise or other skills test as part of the selection process. We welcome and thank all applicants but only shortlisted applicants will be contacted. Abt Associates is a recognized leader in the international development sector. Working with our many partners, Abt Associates implements bold innovative solutions to improve the lives of the community and deliver valued outcomes for our clients. We provide a comprehensive range of services from policy to service delivery in the public and private sectors contributing to long-term benefits for clients and communities. Operating in remote and challenging environments, we offer innovative solutions, extensive experience in the region, strong technical capacity, and a proven project management track record.